Sandwiches are delicious, portable, and full of possibilities. The only problem is that they're often loaded with calories, and carb-heavy bread is partly to blame! What to do? Here are some calorie-saving bread swaps you can use for your next sandwich. Cabbage isn’t just for rabbits. The leaves of this veggie are thick enough to hold all the stuff in your sandwich. Just steam or boil the large outer leaves to soften them and make them easier to chew. Then pile on the protein and veggies. By the way, cabbage is a great source of fiber, which helps to keep you feeling satisfied. Wondering what to do with the small inner leaves? Make adorable sliders, or shred them and add to meatloaf. This idea stems from one of my favorite dishes at Asian restaurants, chicken lettuce wraps! You'll literally save hundreds of calories by using lettuce instead of sliced bread. Personally, I think it’s totally worth it. You can either wrap a giant lettuce leaf around your sandwich goodies (like you would use a tortilla), or you can create little slices of “lettuce bread” by peeling off a few leaves and using them to build your sandwich—perfect for housing jerk chicken or saucy Italian burgers. By the way, some restaurant chains (like Red Robin and Carl’s Jr.) offer lettuce buns as a bread alternative. When in doubt, ask. Okay, technically these are bread based, but they have around half the calories of your average pair of bread slices. There are so many varieties on shelves. My favorite is whole-grain (extra fiber). Pick some up, and use them for lunch and breakfast sandwiches. And when it comes to what goes inside your sandwiches, there are five things to leave off. Portabella mushroom caps are a super-low-calorie alternative to bread. While they only have about 25 calories each, these magical mushrooms really do fill you up! Just bake or grill them until tender before assembling your sandwich. FYI: This one's more of a fork 'n knife sandwich. Portabella mushrooms are a great swap if you're trying to lose weight. 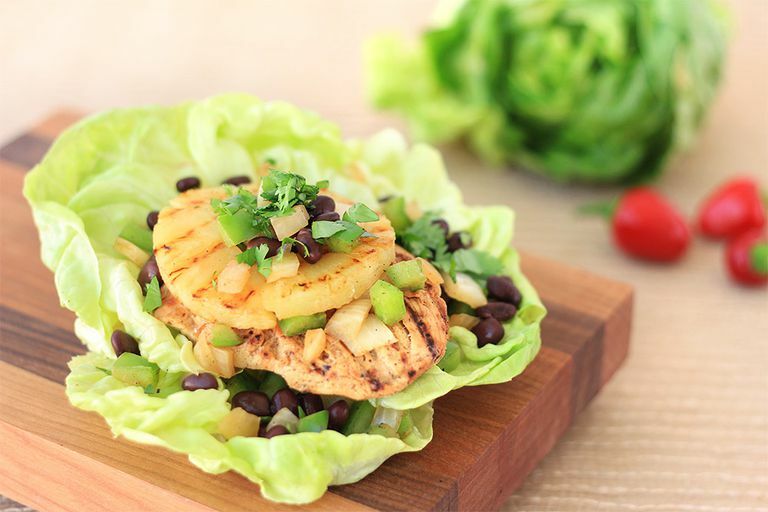 Tortillas are another great alternative to carb-heavy rolls and sliced bread. But you have to be careful when shopping for them! Many tortillas (also referred to as wraps) are extremely high in calories. High-fiber ones tend to be lower in calories, but you need to read the labels carefully to be sure. My favorite tortillas are the La Tortilla Factory Large Low Carb Whole Wheat Tortillas—only 90 calories, plus 13 of filling fiber. For more tips and tricks, plus guilt-free recipes, food finds, and more, sign up for free daily emails at hungry-girl.com!